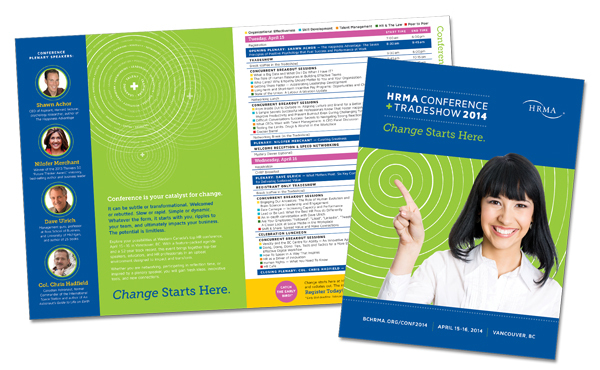 BC Human Resources Management Association (HRMA) hosts the largest HR event in Western Canada with insightful keynote presentations, concurrent tracks of sessions and networking opportunities every year. A series of print ads, online ads and marketing collateral were designed and produced to promote this event. This project was done in collaboration with Backyard Creative. Copyright © 2016 Grace Cheng. All rights reserved.